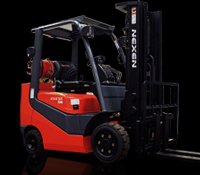 Manufacturer of the Nexen Forklift Truck. Cuge model range from Warehouse Equipment to Counter Balanced Fork Lift Truck. Four range of trucks to meet all budgets including Diesel, Electric & Dual Fuel Models. Nexen Lift Trucks Ltd, Riverside Road, Lowestoft, Suffolk. NR33 0TU. Extensive range of fork lift trucks for sale/hire. Nationwide servicing can be provided by our highly trained engineers. We also provide a full range of spares. Clyde Garage Equipment is one of the oldest independent forklift companies in central Scotland. We specialise in the refurbishment of sideloaders and forklift trucks, supply new and used equipment, and offer full breakdown cover, periodic servicing and thorough examinations for forklifts and mewps. Short and long-term hires are also available, as are parts for all makes and types of material handling equipment, and painting. For all the services you need! 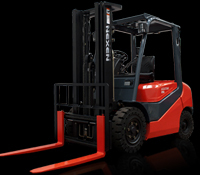 New Forklifts, Used Forklifts, Forklift Hire, Forklift Repairs, Forklift Servicing, LOLER Inspections, Forklift Driver Training, Parts, Attachments, Batteries, Hydraulic Pipes, Tyres, Pallet Trucks. We have ten service engineers with fully equipped service vans covering Essex & London with a response time of 2 hours, in most instances this is much less. Servicing and repairs of all makes of trucks is our speciality..